You are here: Home / Casio Digital Pianos / Casio AP-270 review: A High Quality Digital Piano? Casio AP-270 review: A High Quality Digital Piano? 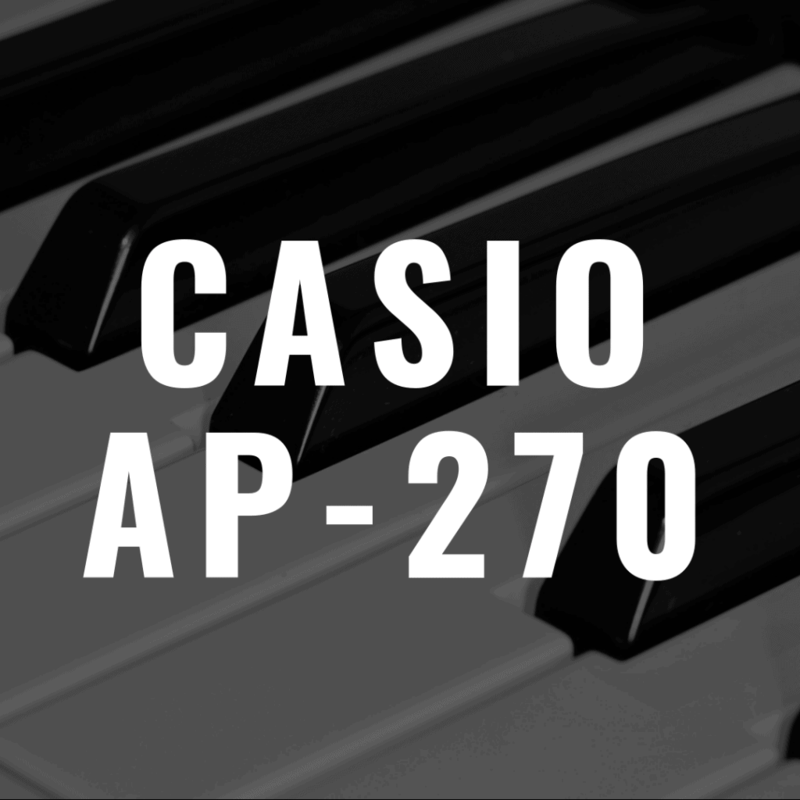 The Casio AP-270 is part of the very popular Celviano line of digital pianos. And in this review, we’ll dig into what you can expect from the AP-270, and if it ultimately is worth your money. In order to better help you, please feel free to use the interactive table below, where you can directly compare the Casio AP-270 against other noteworthy digital pianos on the market. Is the Casio AP-270 for You? One of the great things about digital pianos is that they make having a large instrument, such as a piano, very practical. And that’s where the AP-270 fits in beautifully. 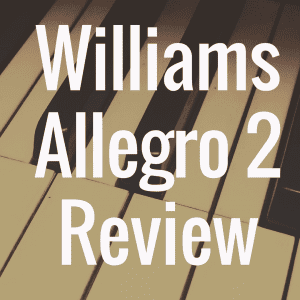 In fact, the AP-270 is truly a great instrument for anyone that covets a traditional piano, but realizes that it’s simply impractical to have one. Whether that’s due to size, weight, or a very high price tag, the AP-270 is a very worthy digital substitute. Whether you want to use your piano at home, or maybe you’d like to get a piano for your church, the AP-270 is a piano worth considering if you’ve come to the decision that an acoustic piano isn’t a realistic option for you. 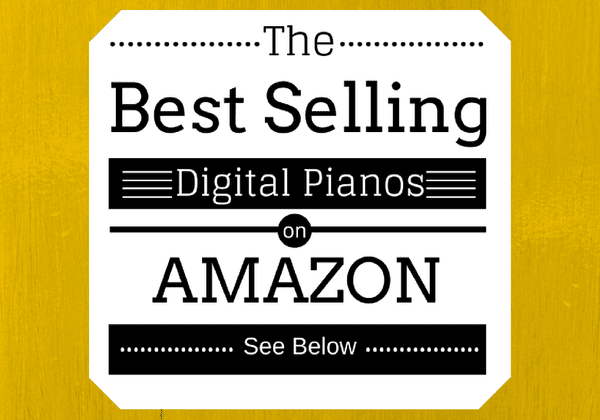 Below, please take a quick moment to view some of the best selling digital pianos on Amazon, and find out how they compare to the AP-270. A Digital Piano That Feels Like an Acoustic? The biggest question most people have about digital pianos like the Casio AP-270 is this: does it really feel like an acoustic piano? Well, in truth, no digital piano can exactly mimic the sound and feel of an acoustic, which has a unique sound, tone, and touch all its own. But technology has advanced to the point where digital pianos like the AP-270 can do a very, very good job. One way they do that is by the technology used in the keybed. The AP-270 features Tri-Sensor II Scaled Hammer Action. There are three sensors located in the keys, so if you want to repeat a key very quickly, you won’t need to let the key return to its top most position. Another great thing about the keys are its synthetic ebony and ivory key textures. This is great because the AP-270’s keys provide you with a strong and reliable grip—just in case your fingers get a bit sweaty in a humid or overly warm environment. More than that, the textures on the AP-270’s keys are also meant to be a throwback to the look and feel of a concert grand piano, where you’d find wooden keys that had a very textured look and feel. How Does the AP-270 Sound? The Casio AP-270 doesn’t cheap out on sound. And that’s due to a mix of things. First is that the piano uses the AiR Sound Source, which includes two new grand piano stereo sounds. In fact, this piano provides pianists with a new New York Grand Piano tone. Outside of the pianos, you get an additional 19 instrument tones (22 different tones in total once you include the piano sounds). Another thing that helps the sound stand out is its stereo amplification system. Here, the sound is actually presented from the top of the piano and the bottom, allowing for the sound to envelop the pianist and feel much more rich and full of depth. 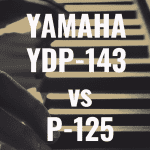 When you’re navigating all of the different sounds this piano has, you’ll notice that there are three versions or three iterations of each instrument. 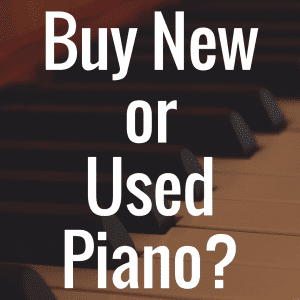 This is great because it gives you tons of different options, and keeps things fresh as you continue to hone you piano playing skills. Some of the sounds featured in the AP-270 are no doubt the usual suspects, but are of course always welcome to see—electric pianos, harpsichord, organ, vibraphone and more. 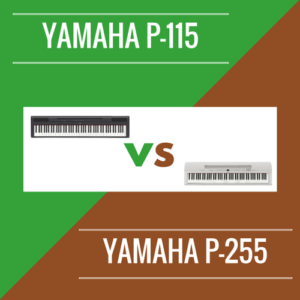 What makes a digital piano worth the money over an acoustic piano—beyond the fact that it doesn’t require regular tuning—is all of the very unique options it affords to the pianist. As an example, the AP-270 (like a lot of other digital pianos) allows you to layer two sounds together. So if you’d like to play piano and strings together or strings and organs, or the electric piano and the vibraphone, you can do just that. Being able to split the keyboard is just as important of a feature, and you can feel comfortable knowing that the AP-270 provides you this option as well. So, instead of layering a piano sound together with strings, you can choose to split the keyboard in half, and have the piano sound be accessed and played with your left hand, and the strings sound be accessed and played with your right hand. Coupled with that, you can also use the AP-270 to split the keyboard into two equal pitch ranges by way of the Duet Mode. 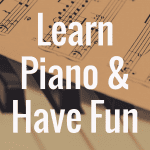 This is fantastic for anyone that thinks you’ll be giving or receiving piano lessons, as each person will now be able to play the same range of keys on their respective side of the piano. This mode also doesn’t have to be just student-teacher, either. It can also work well if two students would like to practice and play on the keyboard so that they can both learn and grow through practice and repetition. One last feature I think is definitely worth nothing is called Concert Play. Here, Casio provides you with ten orchestral recordings, giving you the feeling that you’re playing right alongside a complete symphony orchestra. What’s nice about this feature is that you can choose to either mute or listen to the piano part of the recording. Leaving the piano part un-muted will allow you to hear the complete recording, giving you a shining example of how the piano part of the recording sounds and how it is to be ideally played. Choosing to mute the piano part allows you to step in. Now, the features feels more interactive, as you’re now contributing the piano instrument to the orchestra. The AP-270 comes with two headphone jacks, which of course is absolutely perfect if you ever plan to use Duet Mode with a friend, student or teacher. But regardless if your playing alongside someone or by yourself, the headphone jacks will come in handy if you’re ever practicing and don’t want to disturb other people. You also have a connection for a 3 pedal unit here, as well as USB to HOST. The AP-270 features a fairly robust 60-song music library. And what’s really fun is that you can use this library of music to learn a wide variety of songs. And, whenever you just want to play music without playing the piano, you can use the AP-270’s built in speakers to project any of these 60 songs into the room, which could be fun if you are having a party—or are just entertaining a few close friends or family members. This piano also features 192 note polyphony. Polyphony is always important, especially if you’re playing more complex pieces—you don’t want the notes to decay too quickly, thus hurting the depth and fullness of the sound. So with the AP-270, you can essentially play 192 notes at the same time, which is often more than enough for most people. For those still learning how to play the piano, you can find a built in metronome here. It will allow you to adjust its meter and the tempo. On top of that, you also get a two track MIDI recorder with the AP-270. You can actually record either the left or right hand parts of the music you’re playing independently. You can also record two different instruments and have them be played back simultaneously. The instrument itself is quite attractive, and features a sliding key cover and a matching wood rest. It’ll look quite handsome in your living space. It comes in either black or walnut, and will come with a matching bench as well. Some may be wondering about a face-off between the Casio AP-270 vs Casio PX-870—if it were to happen, which piano would win? Well, it’s all a matter of taste. But it’s worth noting a few of the main differences. The PX-870 is probably the slightly better piano, because of its higher polyphony count (256). It also has a better speaker and amplification system built into it, so the sound is richer, deeper, and overall sounds better the the AP-270. The AP-270 does come with three additional more voices that the PX-870, but the PX-870 is the one that includes string resonance. The PX-870 also features key off simulation, key action sounds, and a lid simulator that features four positions. These features are not found on the AP-270. This is definitely not an acoustic piano—but that’s also not a bad thing. The Casio AP-270 comes with 22 tones, a 60-song music library, 192 note polyphony, and very nice touch response and sound dynamics. On top of that, it’s fairly quite compact given its size, while also appearing visually pleasing to the eye. It may not be perfect, but AP-270 is a very good digital piano. And while it might not be “better” than the PX-870 or the Casio AP-470, it’s still a very worthy addition to the Celviano line. 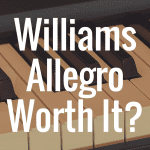 Is the Williams Allegro 88-key Digital Piano Worth It?